Built by award winning developer Amacon, District is one of the best concrete buildings in hip and central SOMA. 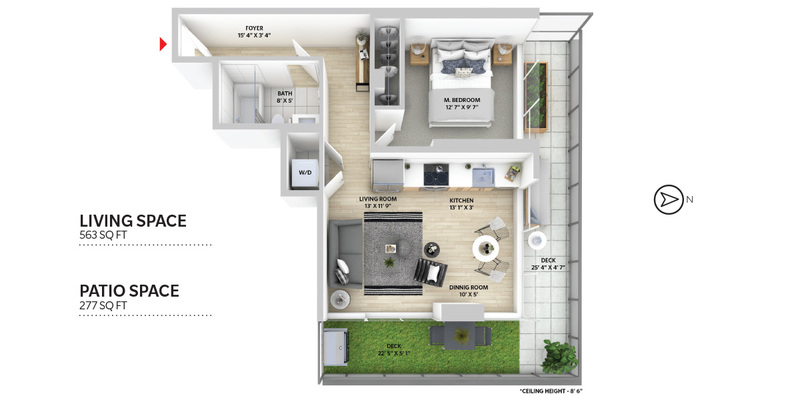 This one-off corner unit features massive floor to ceiling windows, loads of natural light, and an expansive 277 sq ft wrap around patio that you'll practically be living on in the summer! Other elements include modern finishes throughout, high-end appliance package, parking, locker, and insuite laundry. Building amenities include an exercise room, party room, and one of the best rooftop decks in the city. Plus, you'll be a mere hop and skip away from all that Mt. Pleasant has to offer - breweries, boutiques, and restaurants galore. Pets and rentals are welcome, making this great for investors and owners alike.